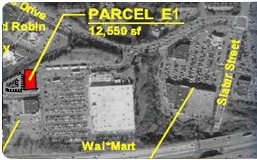 The site is located between the Buckland Mall and Wal-Mart it is one of the few remaining pads available. There is excellent visibility from the Mall and I-84 (115,000 ADT). The site is approved for 12,550 Sq. Ft. of retail use. *incl. the five towns relating in Enfield.